12noon – 4pm. Hosted by Traci Bartlow. Seeking dancers that can get down in Hip Hop, House, Lindy Hop and African Dance. 11am. Free! All Ages. Rare & out of print vinyl albums, 12″, 7″, Picture Discs, Imports!, Rock, Jazz, Blues, Soul, R&B, Reggae, Punk, New Wave, Metal, LP’s, and more! Open Turntables and DJ networking event. Every Monday Queens. Adisa Banjoko aka The Bishop of Hip Hop & DJ Mike Relm talk music, chess + MMA! 10:30-1am EST. 89.1 FM WNYU wnyu.org. DJs Eclipse, Skizz, Petey Cologne, Navani and sometimes D-Stroy!! Thurs. Sept. 19: Salsa Hop on the Bronx River @ The Concrete Plant Park! 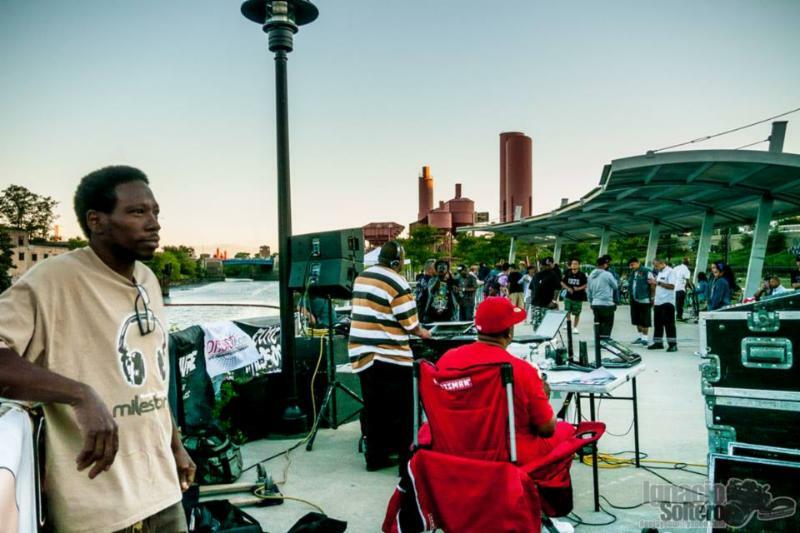 photo by Ignacio Soltero from Sept. 5th’s jam at the beautiful Concrete Plant Park on the Bronx River! *no word on a park to jam in for Sept 26 – we will let you know once/if we do! NO filming, alcohol, drugs or drama. No vending without permission. Anything about a park jam (time, lineup, etc.) is subject to change at any time. Sept. 19 – 22, 2013! 11am-7:30pm. The Coup, Dam-Funk and more. Sept 19: Salsa Hop @ The Concrete Plant – take the 6 train to Whitock. Free! All Ages. Also w/ Tony Touch, DJ Cue & DP One. 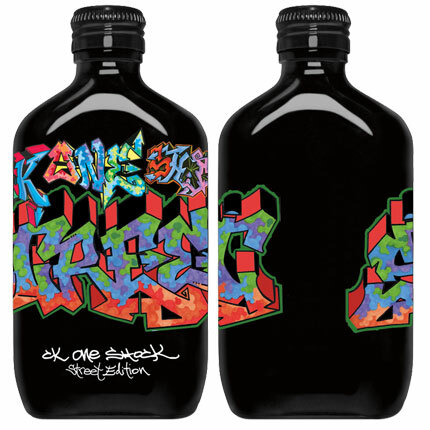 with Fabel’s designs on the bottle & box! Promoters & Artists – PLEASE Submit your event for consideration! We are busier than ever with park jams and dj battles and don’t have much time to browse the sites and facebook looking for great events to list. In fact there is a lot of great events that did not get listed because I need to go outside and have fun too!